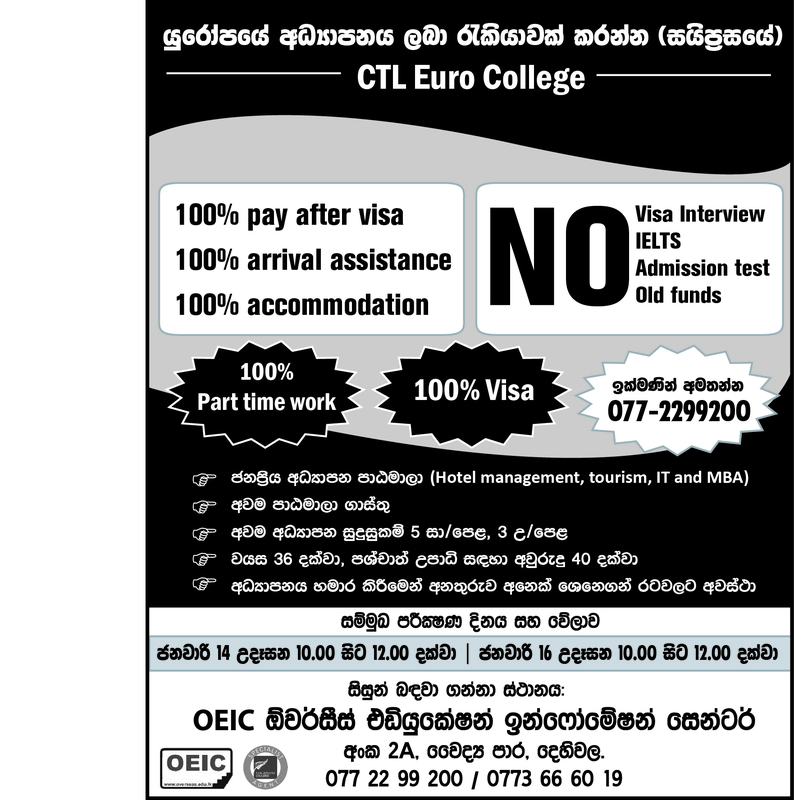 College Director Interviews at OEIC Dehiwala office. No 2 A, Waidya Road, Dehiwala. call 0772299200 for more info.